Happy Thanksgiving to my US friends! For the first time in many years, the weather has been cool enough here in Sydney to feel like turning on the oven for Thanksgiving. 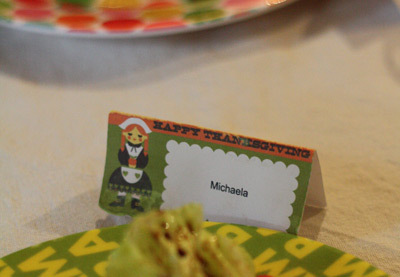 With temperatures in the teens and rain all day, we happily cooked up a storm and printed out these cute Thanksgiving printable place cards from Pilgrim Lee (draw! pilgrim). The little ones had a ball getting the table all gussied up, and helping with the cooking. 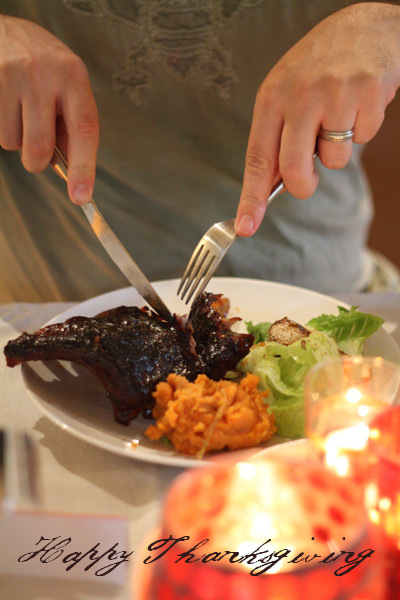 We served up BBQ ribs (not traditionally a Thanksgiving main course, but definitely one of our favourite meals from the US), sweet potato and molasses mash with a pear, walnut and blue cheese salad. 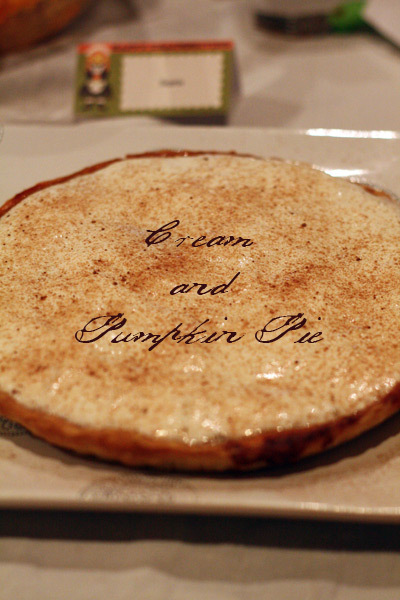 Of course pumpkin pie for dessert, but with a twist - this one layered with pumpkin on the bottom and cream on the top. (actually, I was piping on cream around the edges, but the pie was too warm and it turned into a soupy lake. Encroaching bedtimes will do that to you). Wherever you are in the world, I hope you're enjoying this time with family and friends. We've got lots to be thankful for.